You’ve heard the saying that ‘children are like little sponges’ and so it’s never too early to start teaching your little one the alphabet or numbers. Step 1: Lay your paper or cardboard on a flat surface. Step 2: With your pencil, draw the outline of a number or letter. Make sure it’s nice and big, like the letters and numbers in the picture. Don’t write in cursive as this can be hard to read. Step 3: Cut out the number or letter. Step 4: If you’re using a plain piece of paper, colour in your letter or number. 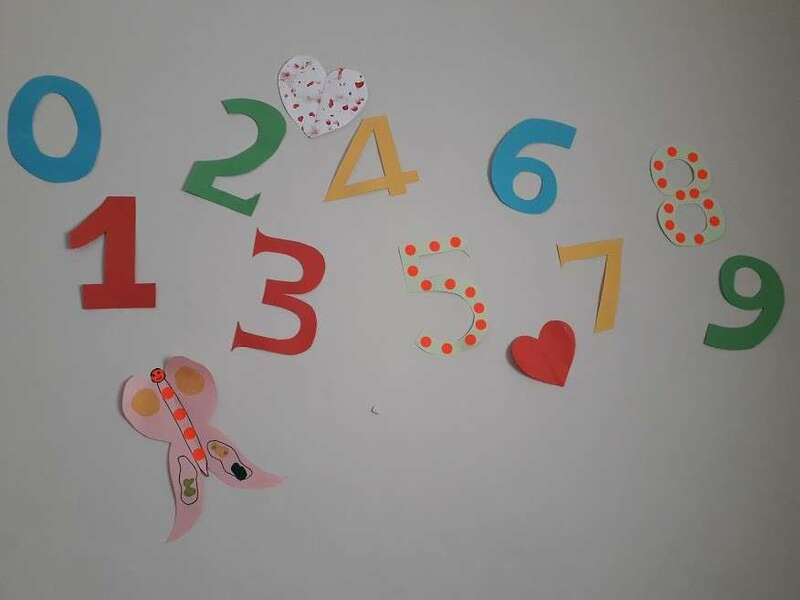 Step 5: Stick your letters or numbers on the wall using pieces of Prestik. Your little one can help you with the colouring, this will be fun and interactive for them. Now you can enjoy teaching them the alphabet or how to count. Point to the letter or number as you say it. The colours are to attract your child to their new wall décor and they get to learn too. Tell us: Are you having fun with your little one helping them learn numbers and letters?